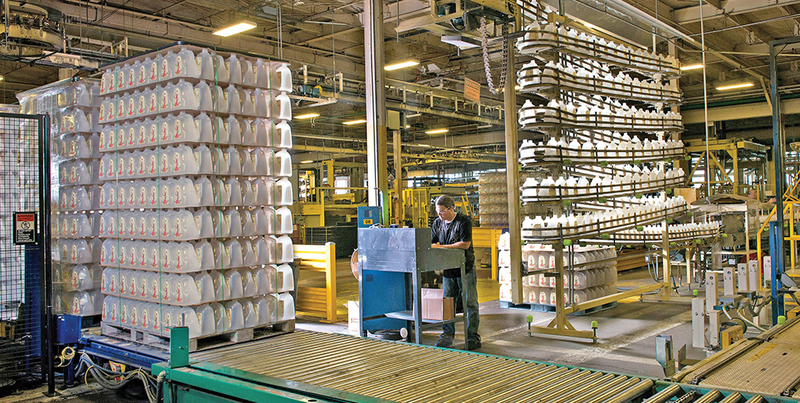 Graham Packaging will invest $6.7 million to expand its manufacturing operation in Altavista. Graham Packaging is a global leader in the design, sale, and manufacture of value-added, custom blow-molded plastic containers for branded foods and beverages, personal care and specialty products, household products, chemical-based products, and automotive lubricants. The project will create eight new jobs and 37 existing employees will be retrained to operate the next technology. Lynchburg placed first in its population category in the Center for Digital Government’s 2017 Digital Cities Survey. Now in its 16th year, the annual survey recognizes cities that use technology to improve citizen services, enhance transparency and encourage citizen engagement. A couple of Lynchburg’s notable digital achievements include the addition of the “My City Services” interactive portal and the use of citizen engagement efforts and Geographic Information System (GIS) to support the city’s “Poverty to Progress” initiative. A man who spent 60 years working in Lynchburg’s real estate sector has received professional recognition for his career. On December 7, the Virginia Commonwealth Chapter of the Appraisal Institute honored Lowell Milton with its Lifetime Achievement Award. Milton was featured in the Commercial Real Estate column in the August/September 2017 issue of Lynchburg Business. The 82-year-old started his career with the Virginia Highway Department and formed Milton-Gentry & Patterson, Inc. in 1971. His name has been a constant on real estate signs around Lynchburg since that day. The newest full-service location of Bank of the James is now open in Appomattox, following a year of operating out of a temporary office. The new bank, located at 1745 Confederate Boulevard, has three offices, a teller pod, a conference room and one drive thru lane with two service connections. Forest-based Innerspec has launched a new consulting, training and inspection support services venture with Tecnatom. FarField NDT (non-destructive testing) will offer an advanced consulting network to customers, helping them develop custom engineered solutions to meet their needs. FarField has created the largest NDT/NDE expert network, with over 100 selected Level III inspectors, researchers, and senior development engineers with wide experience in the latest NDT tools and techniques. Cooper Steel Fabricators Inc. has opened Cooper Steel of Virginia in the former Lynchburg Steel plant located in Monroe. This is the fourth expansion for the Nashville-based company. According to its website, Cooper Steel Fabricators focuses on fabrication, erection, project management, detailing and estimating. Lynchburg Steel announced its closure in July 2017 after being in business for more than 50 years. A long-time manager has taken the reins at the White Hart Café on Main Street. Daniel Coco and his family purchased the business in early January. Abe Loper had owned the coffee shop since 2013. In a Facebook post about the transition, Loper said he sold the business to make more time for family. Gleaning For The World founder, president and COO Ron Davidson has retired. Rev. Davidson founded Gleaning in 1998 in the basement of his mother’s home. Over the next 20 years, he oversaw the distribution of just under $700 million in aid around the world. Gleaning’s former VP, Jeane Smiley-Mason, has assumed the responsibilities of acting president and COO.